Ready to mob your pre-event promotions for your next event in Mobtown? 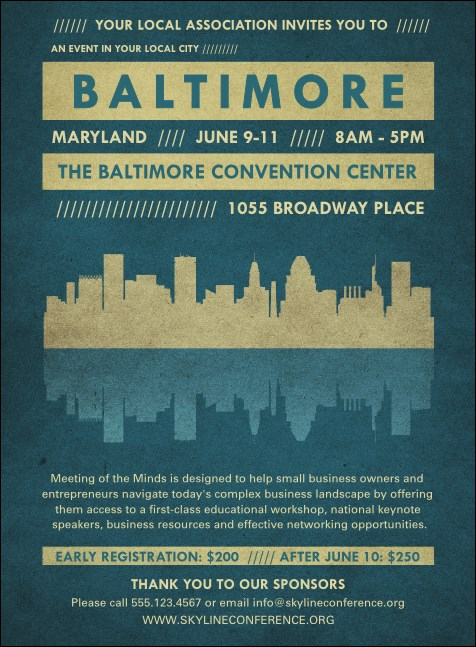 Print Baltimore Invitations and send them out to your East Coast guest list in advance for a great turnout. This Invitation template features a blue color scheme accented with beige and shows an image of Charm City’s skyline reflecting off the Patapsco River. Extend your advertising reach across the Chesapeake Bay at TicketPrinting.com.